The Alpena Fire Department got some training in Wednesday morning. Reporter Star Connor was there for all of the action. Imagine wearing a heavy suit, and not be able to breathe while trying to save someone. That’s just what the men and women of Alpena Fire Department do almost everyday. Early Wednesday morning, the fire department practiced routines and trained during a victim rescue just as if they were in a real life fire. “What we’re doing as far as the training is we’re going over a couple different scenarios. 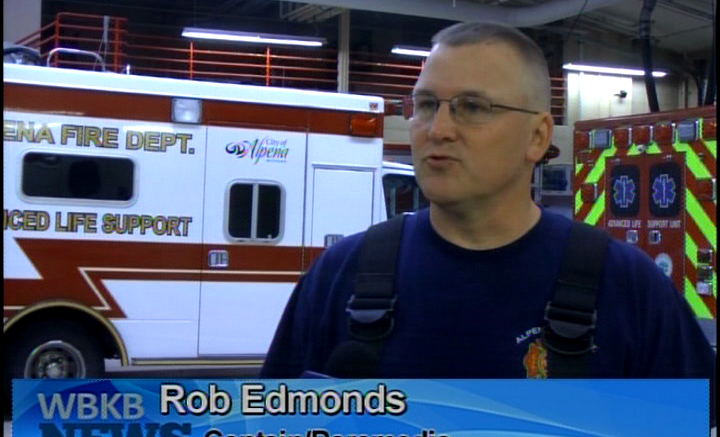 One is a victim rescue and the other one is a mayday situation,” Captain Rob Edmonds said. The department has training once a month to prevent accidents like the one they had while putting out flames during a fire last month. When it comes to this type of training, Edmonds said firefighters need to make sure they are in great shape.